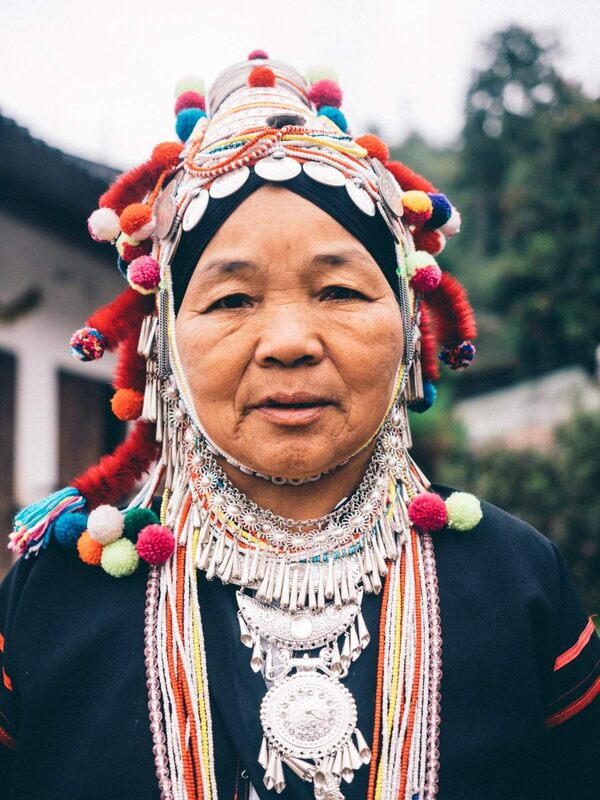 Akha people are an indigenous hill tribe that originated from China and Tibet, mostly settling down in Thailand, Laos and Myanmar. During my latest visit to Thailand, more specifically to the hills in Chiang Rai, I was privileged to spend a night with these people. 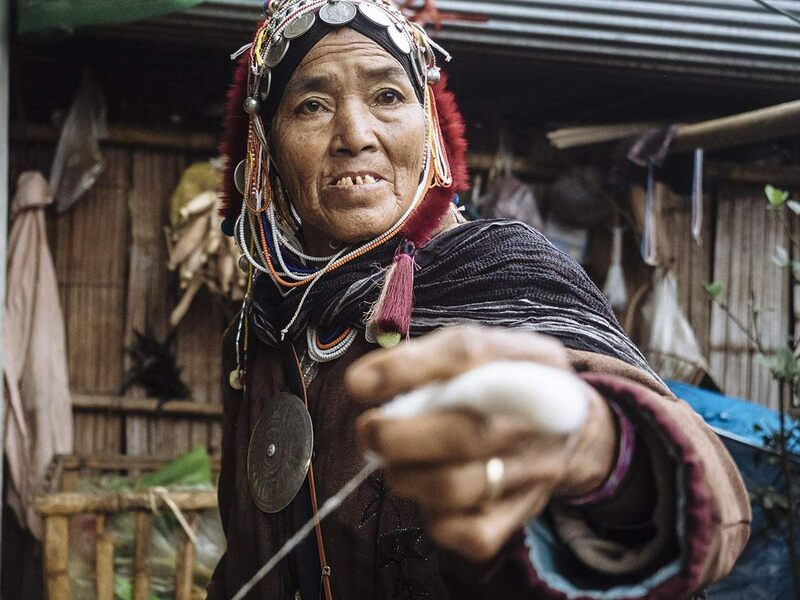 Arpha - Pattana village is home to 230 people and all these people share one religion - animism, which is believing in spirits. 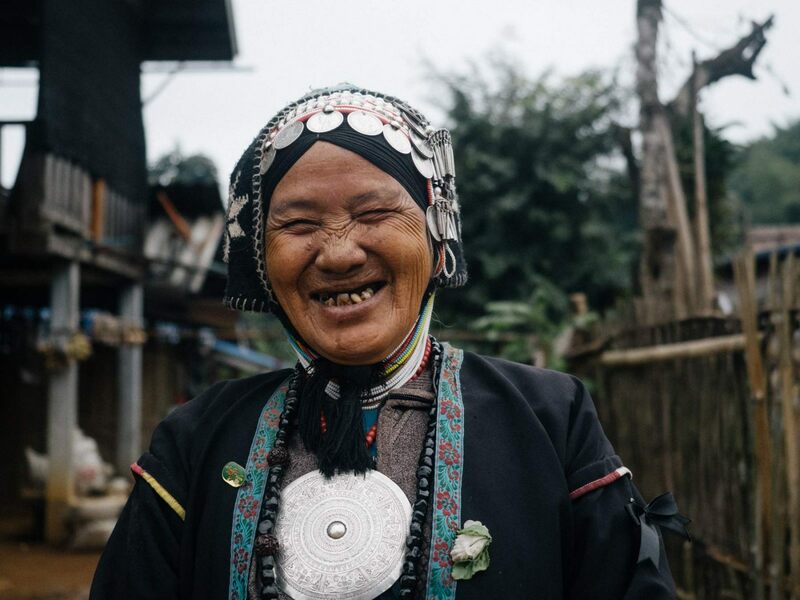 Very few Akha people are registered with the government and are classified as aliens, but here in the village, thanks to the local organisiation, all the people have their thai citizenship for about six years now. These days, the traditional clothing and jewellery is often worn only by the elderly. 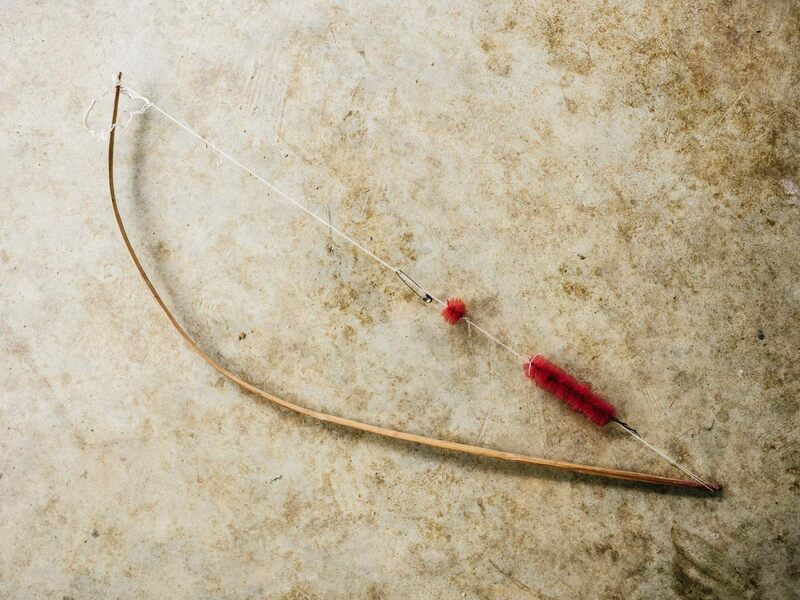 However, each person in the village has been taught how to make their craft, before passing it on from one generation to the next. "It's a woman's job" Manop tells me. "Man's job is to build the house or make baskets." The women agreed and continue, "if we didn't have our craft, we will have no hobby and will be very bored indeed". So, I sat down with one of the local women and she showed me how things are done. 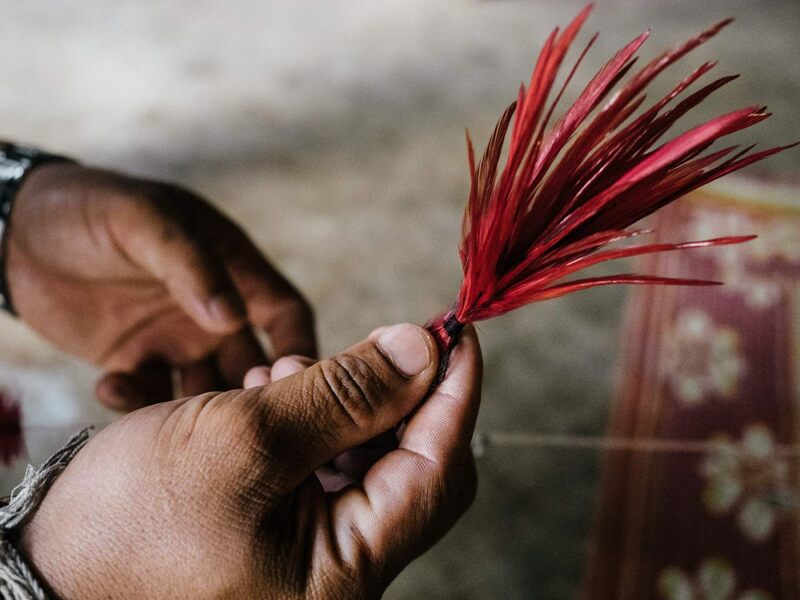 Many of the materials used for their head pieces are natural like these rooster feathers. They also use silver, which makes things a bit more valued. She wraps the rooster feather around a string and then (just as you would do with a hair dread) they are backcombed. A tool used for the rooster feather to be backcombed. While all these decorations are very heavy, these women believe that the headpieces are protecting them from evil spirits and feel 'naked' when not wearing them. They only take them off when showering. As the sun was going down, we slowly walked back to the house where I was staying for the night. They showed me around so I could easily find the shower, toilet and of course my bedroom for the night. Soon enough, Manop's wife calls out from the kitchen, that dinner is ready. They know I don't eat meat, so they have prepared a big veggie feast for me. 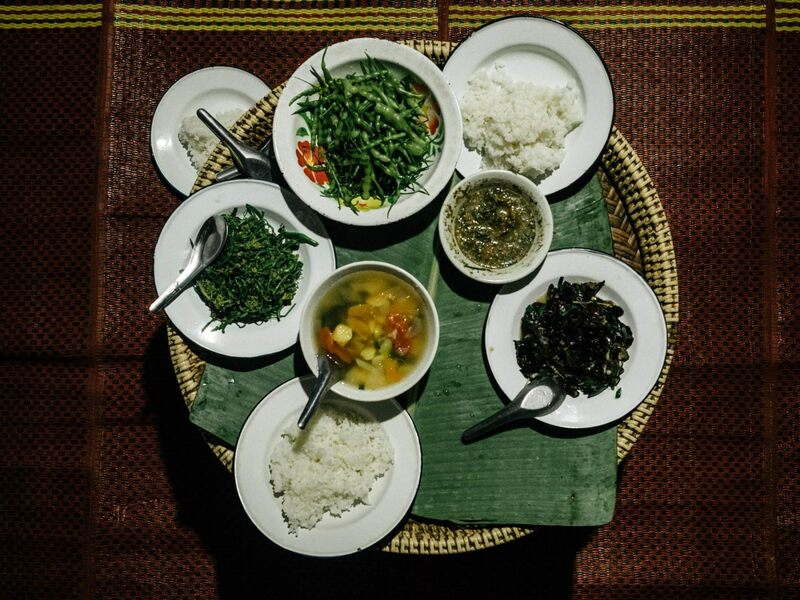 The rice is straight from their rice fields and I can tell you it tasted much better than any rice I ever had. Mushrooms are also a big part of their cuisine and luckily for me, it is a season for wild mushrooms, which is a real delicacy here. My bedroom for the night. 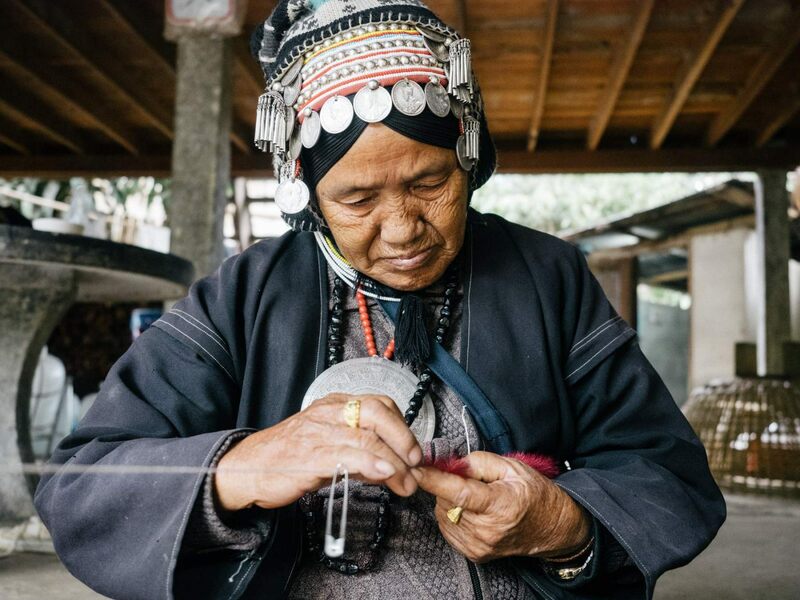 Due to rapid social and economic changes, continuing many of the Akha traditions are very difficult. Some of the houses here now have tvs and some do have wifi. The new generations want to catch up with the rest of the world and after receiving their citizenship and learning basics of English, they travel out to gain more education and earn more money. Despite all these changes, there are still some traditions that are kept and shared form generation to generation. 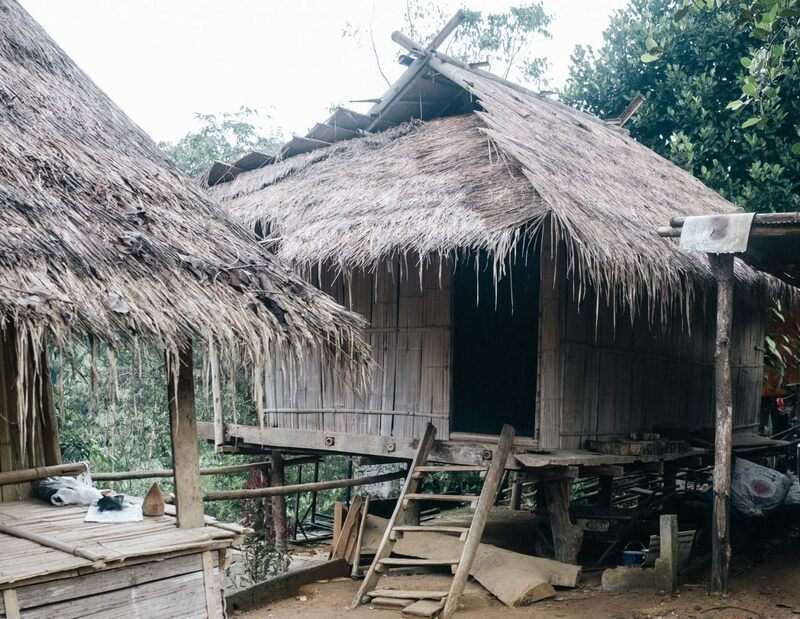 The houses for example, are still built from bamboo and placed either on the ground or on stilts. 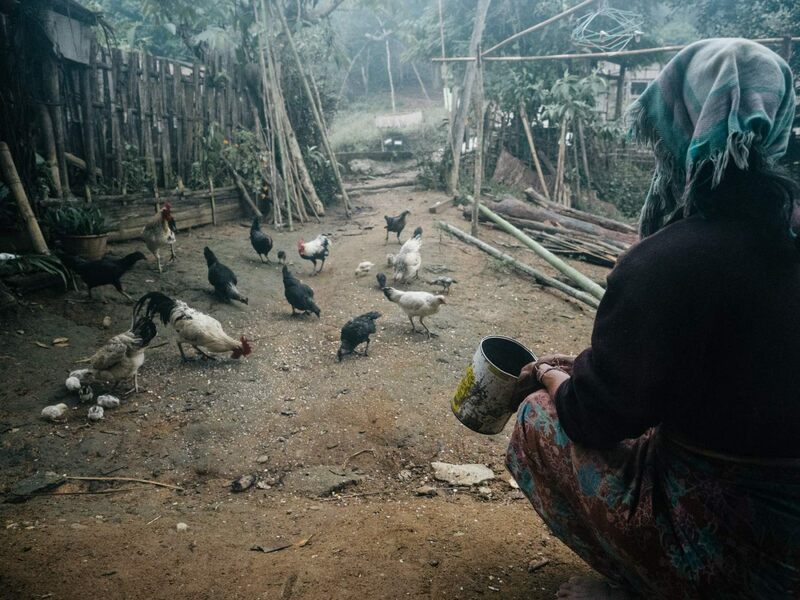 Most of the locals don't wear watches and so each house has at least one rooster, so they can wake them up for work. It was Saturday morning and although it's a weekend for us, the roosters have no day off. The early morning call (as from around four am) started with the first rooster in the village, and soon enough all those other hounders of them joined in. Every morning Manop's mother feeds the chicken before she puts anything in her mouth. The mornings and nights are cold here in this season. 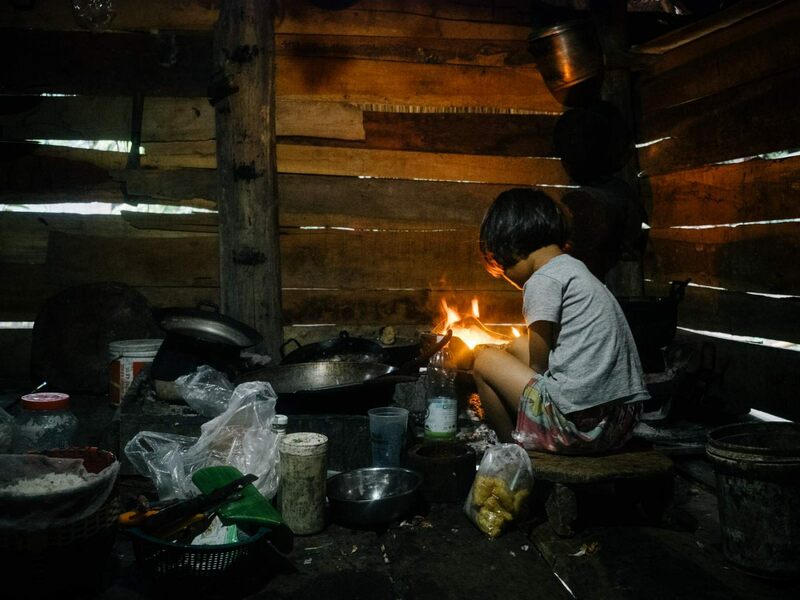 A little girl is warming herself up by the fire in the kitchen.